New this season and exclusive to us - Joanna Hope swimwear. 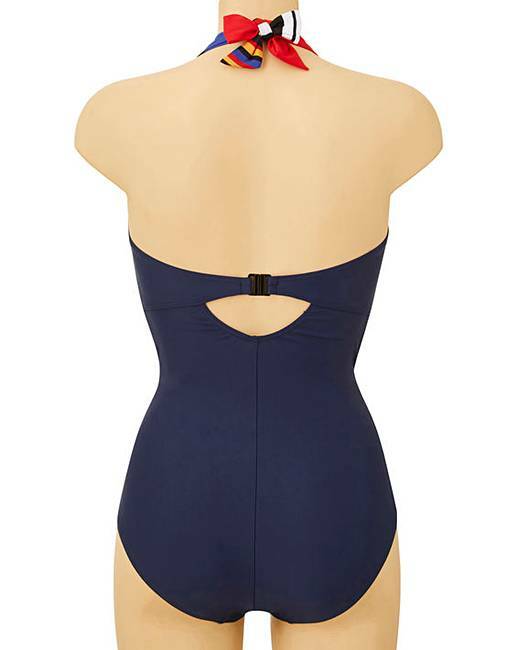 Achieve effortless style in this gorgeous Joanna Hope Regatta wrap swimsuit. 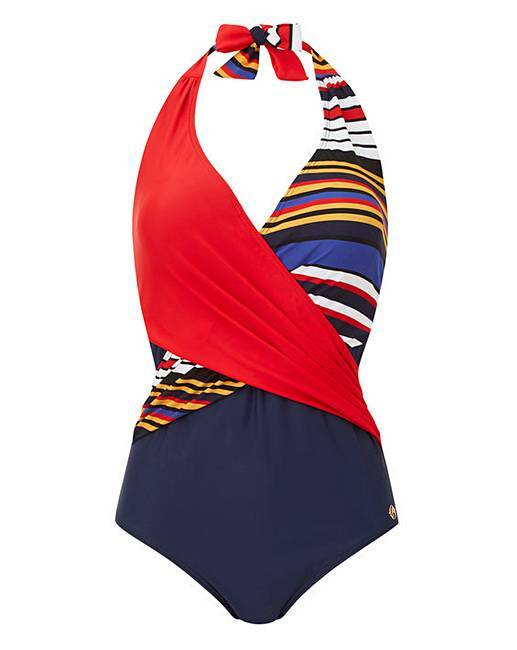 This halterneck swimsuit features a flattering stripe and wrap body detail to flatter and enhance. Also available in a stylish bikini set.